By turns painfully honest, achingly sad and wryly humorous, Patricia Kullberg's memoir of her work as physician at a Portland clinic serving the city's "dispossessed" is also unfailingly compelling. Fleeing the boredom of work in a suburban clinic where, "My patients were lovely. Few were particularly sick," Kullberg lands at the Burnside Health Center. Her new patients are uniformly poor, with no shortage of serious health problems. "Most lived with mental illness, addictions or both. The majority had suffered abuse... Most were poorly educated, though among them was a doctor from Iran, a lawyer from Afghanistan, a nurse from Somalia. Also a musician, a journalist, a contractor and a professor of physics, all native born and fallen on hard times or bad choices, usually a combination of the two." The book is a fascinating series of 15 sparsely eloquent case studies of patients Kullberg treated, sometimes for years. The sweet young man who lived under an overpass on U.S. Highway 26, tending his private garden of daffodils and roses. A woman who, through an interpreter, reports that her chief complaint, among many, is dizziness. "I hate dizziness... The underlying pathology can be anything from depression or stomach flu to incipient cessation of the heartbeat — in other words, the last symptom this patient will ever experience if the doctor doesn't figure it out fast. Not that I'm feeling any kind of pressure." 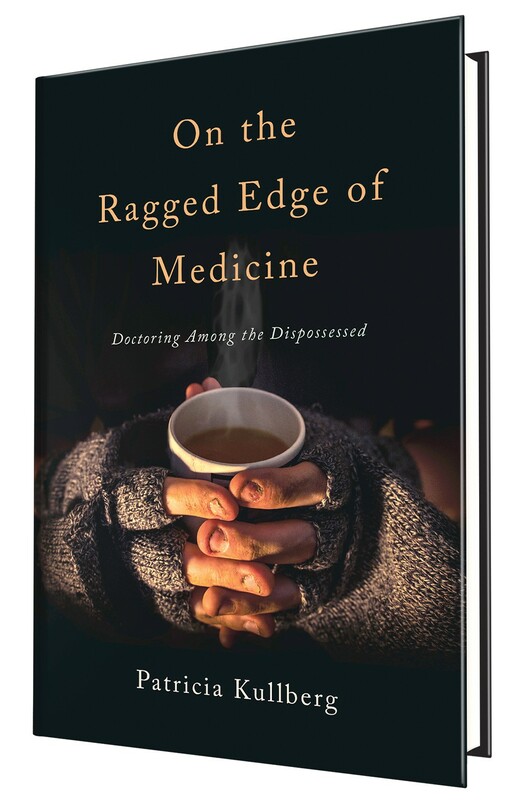 Part diagnostic procedural, part medical mystery, On the Ragged Edge of Medicine also offers ample evidence of medicine's shortcomings. Though Kullberg brings all of her medical training to bear on her patients' difficult cases, with some degree of success, she feels that she comes up short. "I really did not, and could not, grasp what it was like for her," she writes of a patient with bipolar disorder. "It was like having a baby. You think you know what it will be like, until you actually have one and realize the profound limits of your own imagination."